Product categories of Musical Postcards, we are specialized manufacturers from China, Music Postcards, Musical Postcards suppliers/factory, wholesale high-quality products of Recordable Postcards R & D and manufacturing, we have the perfect after-sales service and technical support. Look forward to your cooperation! 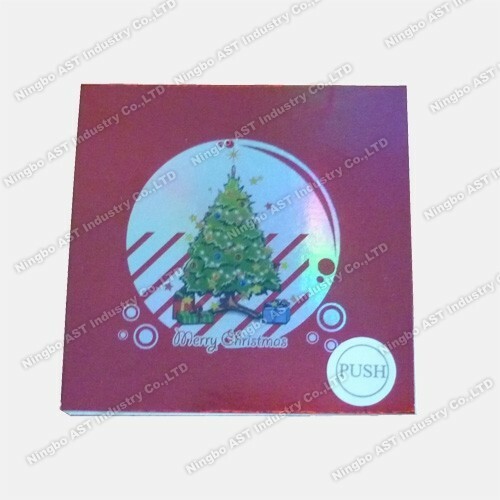 Ningbo AST Industry Co.,Ltd has 17 Years Experiences to produce the musical postcards,recordable post cards,Musical Label,Promotional paper cards and so on.we can assure you of competive price,high quality,prompt delivery and technology supporting. The Postcards are usually used for celebration,promotion,birthday,Holiday and so on. A. Musical Postcards---The clients will provide their sound files to us as MP3 or Wav Format,Then we programme them into the Sound module,it will play the customized message. B. Recordable Postcards---The clients can record our own messages and playback them.And the messages can be erased and re-recorded. 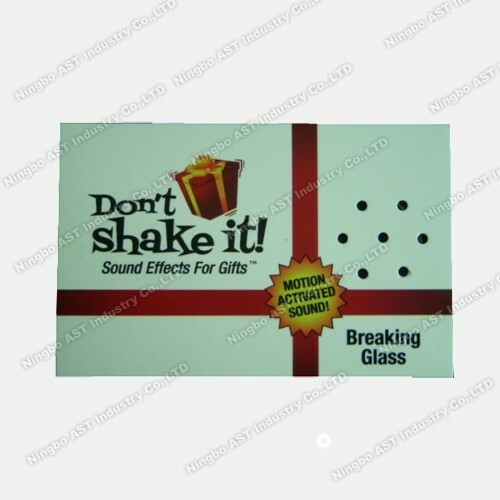 Light sensor,also used by Gift box,open the box to play the message.